The Symposium on Medicinal Chemistry in Eastern England, known colloquially as the "Hatfield MedChem" meeting, is a highly successful, long-standing, one-day meeting which runs annually. The scientific programme will comprise presentations showcasing medicinal chemistry case studies from tools to candidates, across a range of modalities, therapeutic areas and target classes, as well as covering more general topics from the forefront of drug discovery of relevance to medicinal chemists. The meeting will aim to be informal and interactive and the event offer excellent scientific and networking opportunities for all those working in medicinal chemistry and drug discovery. The ‘SCS Conference on Stereochemistry’, better known as ‘Bürgenstock Conference’, is an outstanding international chemistry meeting of high scientific quality, with an optimal setting for intense inter-disciplinary discussion. Stereochemistry is the principle underlying our understanding of the processes of life and the properties of matter at the molecular level. It is a key element not only in all chemical disciplines, but also in modern molecular biology, molecular medicine, biophysics, and material design. Accordingly, the ‘Bürgenstock Conference’ has grown over the years into a multi-disciplinary conference where frontier science is being discussed. Lectures cover many areas of chemistry and relevant highlights from neighboring disciplines. According to its long tradition, the 54th Bürgenstock Conference 2019 will again be interdisciplinary, covering many areas of chemistry in its main body, but allowing also for relevant highlights from neighboring disciplines, with due focus on structural and mechanistic aspects in all contributions. The Academic Drug Discovery Consortium invites you to hear about the latest ideas in small-molecule library development at, Better Leads, Better Drugs: Innovations in Screening Libraries. Scientists engaged in drug discovery and chemical biology know that a screen is only as good as the molecules that go into it. But with the vast potential chemical space, how do you decide what to include in your virtual, high-throughput, or fragment-based screens? This event will bring together drug-seekers from academia and industry focused on the application of new technologies and computational tools to tackle this question in order to deliver higher quality leads. The meeting is directed at individuals with a curiosity into what Flow is and how it may benefit them or their organisations, and those already involved in the area. The presentations will cover aspects from microfluidics discovery to production scale manufacture, highlighting the latest developments, novel methods, engineering and their application. This meeting will be of particular interest to synthetic chemists, process development chemists, chemical engineers and plant managers operating in pharmaceutical, agrochemicals and the fine and speciality chemicals industries. This scientific event will provide high-level lectures, communications and poster presentations held by histamine experts. The Meeting will also be a good opportunity to broaden your knowledge, establish new scientific cooperation and meet colleagues personally. MedChem Russia conferences are held every 2 years in large scientific, educational and cultural centers of the Russian Federation. The first conference was held in Moscow in 2013, the second - in Novosibirsk in 2015, and the third one - in Kazan in 2017. This international conference is mainly aimed at detailed analysis of current developments, innovative approaches and advanced technologies in the field of medicinal chemistry and drug research. The scientific program of MedChem Russia 2019 will include plenary lectures, oral reports and poster presentations. Youth School Conference on medicinal chemistry and the sections on computer chemistry, on cell technologies, on domestic anti-cancer and anti-infectious drugs and on materials for medicine will be held within the framework of the Conference. In addition to the scientific program, various events aimed at business communication are planned. Holding such forum on the international level, which will interest both scientists and industrial representatives, working in the area of medicinal chemistry and drug development, is one of the major tasks for the organizers. The Conference is to be held in B.N. Yeltsin Ural Federal University and in M.N. Mikheev Institute of Metal Physics of the Ural Branch of the Russian Academy of Sciences. Cell technologies, developing biopharmaceutical products. Contact person: Kuznetsova Olga A. This symposium follows on from the very successful inaugural meeting held in 2017 containing high quality international speakers from industry and academia on topics of Medicinal Chemistry and related enabling technologies. Organised by the Biological and Medicinal Chemistry Sector of the Royal Society of Chemistry, together with Nordic affiliates, the meeting promises to be an exciting and invigorating gathering packed with fantastic opportunities to disseminate knowledge and expand networks. This fifth editionwill be held in Madrid on June 22nd, 2018 at the Spanish National Research Council (CSIC) headquarters. As in former editions, this symposium is aimed to give the opportunity to Post-doc, Pre-doc, Master’s degree, and Bachelor’s degree students to show and discuss their results. However, registration is also open to both junior and senior researchers. Abstract submission deadline is May 21, 2018. Some 30 Symposia are offered, with multiple half-day sessions co-organized by teams of Foreign and French scientists. The scientific program will include both plenary and invited lectures, as well as short oral communications and flash poster presentations, covering different aspects of drug discovery and development. Deadline for abstract submission is April 5, 2019! The 21st edition of this prestigious conference aims to bring together scientists from Europe and other parts of the world to share their interests in the field of Organic Chemistry at large. 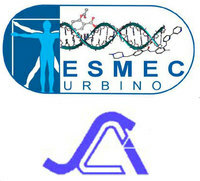 The XXVI edition of the National Meeting on Medicinal Chemistry (XXVI NMMC 2019) of the Division of Medicinal Chemistry of the Italian Chemical Society (Divisione di Chimica Farmaceutica - Società Chimica Italiana, DCF-SCI) will be held in Milan on the occasion of the 40th anniversary from the establishment of the DCF-SCI. The scientific community is cordially invited to actively contribute to this scientific event, organized under the auspices of the University of Milan in our more than two thousand years old city, Mediolanum, which became a metropolis at the beginning of the 4th century B.C. Milan, which hosted the Universal Expo in 2015, is world-renowned as one of the capitals of innovation, science and art-based events, finance and business, opera, design and fashion. Together with a stimulating scientific program, all participants will enjoy the exciting city atmosphere. During four days, the Faculty of Pharmacy of the University of Lisbon will congregate the exciting world of Natural Products research, bringing together senior scientists, young researchers, and PhD students from all over the world to share their latest advances. The attractive program of NatProdDDH will cover the state-of-the-art in Natural Products research, up to their application as value-added products for human health. Through plenary sessions, lectures, poster presentations and coffee breaks, the participants will discover the auspicious environment for the generation of innovative ideas, networking, and synergies. The 2019 Chinese Medicinal Chemistry Symposium (CMCS2019), hosted by Chinese Pharmaceutical Association (CPA) and organized by State Key Laboratory of Biotherapy and West China School of Pharmacy of Sichuan University will be taking place in Chengdu, Sichuan, China from August 15th to 18th, 2019. According to the cooperation framework agreement signed by CPA and the European Federation for Medicinal Chemistry (EFMC), the CPA-EFMC International Symposium on Medicinal Chemistry (CPA-EFMC ISMC) will be held concurrently. The theme of CMCS2019 is “New targets, new technologies and new molecules − boosting the discovery and translation of original new drugs”, and that of CPA-EFMC ISMC is “Exploring new pathways to tackle immune-oncology”. This conference will have keynote, invited, oral and poster sessions along with informal discussions, providing an excellent platform for communications between researchers in the relevant fields, promoting the exchange and collaborations, and boosting the development and application of medicinal chemistry. The PERMEA international membrane meetings initiated by membranologists from the Visegrád countries (Czech Republic, Hungary, Poland, Slovakia) have gained an international reputation and become one of the creative conferences in the fields of preparation and production of membranes, assessment of their separation properties, utilization of membranes for various separation problems, and introduction of new technological procedures to protect the environment. This meeting, PERMEA 2019 brings together experts from the areas of research and application and offers many opportunities to exchange experience, create new ideas, mainly thanks to the presence of young colleagues and students. Moreover , the conference presents connection between industrial and academic spheres, establishes a platform where industry meets science. The SCS Fall Meeting offers a unique opportunity for all members of the community to share the results of their research initiatives. It also stimulates the exchange of ideas between all generations of chemists, often creating the seeds for new projects and collaborations. The 20th SCI / RSC Medicinal Chemistry Symposium, Europe’s premier biennial Medicinal Chemistry event, focussing on first disclosures and new strategies in Medicinal Chemistry. This conference will be of interest to both academic and industrial scientists engaged in all aspects of the drug discovery and development process. RDPA is a very stimulating biennial meeting which represents an unequalled opportunity for the numerous scientists dealing with pharmaceutical analysis issues in all their domains to get together. The RDPA 2019 program will cover the most appealing and relevant topics of research in (Bio)Pharmaceutical Analysis, spanning from Fundamentals to Advanced Methodologies and Instrumentations, giving special emphasis to Natural Products. Sample Preparation, Validation, Quality by Design, and Data Processing. The Summer School in Pharmaceutical Analysis (SSPA) is organized by the Intradivisional group of Pharmaceutical Analysis, Division of Medicinal Chemistry, Italian Chemical Society (SCI) and sponsored by the European Federation for Medicinal Chemistry (EFMC). SSPA is mainly addressed to researchers and PhD students focusing on the different aspects of analysis in drug discovery and development and in drug manufacturing. The course is open to a maximum of 80 students and is held in English. All inclusive registrations will be accepted until August 25, 2019. After this date, only basic registration will be accepted. The 2nd Swedish Medicinal Chemistry Symposium, Sweden’s premier biennial Medicinal Chemistry event focus on recent advances in Swedish drug discovery research in academia and in industry. This symposium has a particular focus on emerging concepts in modern drug discovery and chemical biology including alternative modalities, new in silico-based drug discovery approaches, and opportunities arising in the interface between biology and chemistry.